Is your new hamster looking stressed? Are you worried that it may need some help with adjusting to his or her new environment in your home? 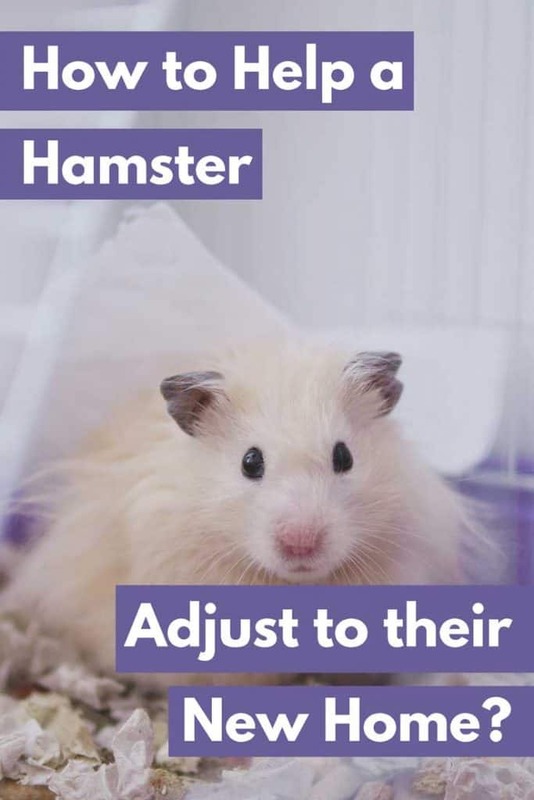 Rest assured that we have researched this common issue and have created this guide to help you understand your hamster’s behavior. You can help your hamster adjust to your home by avoiding handling and interaction during the first few days. Let them get to know their cage and environment first. You must fight your desire to handle your new pet during this already stressful time and let them come around on his or her own terms. 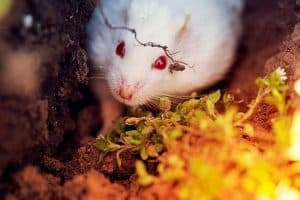 Of course, there are other things that hamster owners can do to help make this process as easy as possible for their new family additions. In this article, we will explain how you can make things go smoothly and give you an understanding of what this quirky, uncomfortable behavior is all about. Bringing a new hamster home from a breeder or pet store is an exciting time. You’ve likely had daydreams about lovely interactions with your new pet as you bond over the upcoming years. So, it can be concerning when you see that your new hammy seems entirely uncomfortable in their new home. Like you or I, hamsters need some time to adjust to a new home. Imagine what it’s like living in a pet store with a bunch of other animals and their smells and then transported to an unfamiliar place. You’d get anxious, too! It’s not at all uncommon for hamsters to respond with apparent feelings of unease when introduced to a brand-new space that’s suddenly all their own. After all, most hamsters share a space with others when in the pet store. They’re not going to know what to do with a cage that they don’t have to share – at least, not at first. Hiding, such as in the corner of the cage or in a tunnel/house that you have provided. Running that may appear frantic. Biting if you attempt to handle them at all. Sleeping for lengths that may seem excessive (although they aren’t). Think about it: The behavior of a stressed-out hamster shares a lot of similarities with the behaviors that we exhibit when we’re stressed. And with hamsters, there is no explaining to them what’s going on and why they’re in this strange, new place. Before picking up your new pet, it is important that you have the hamster’s environment ready for them. This means setting up their cage, including furnishing it with toys, food and water, ahead of time so that you can quickly introduce the hamster to their new home. The more prepared you are prior to bringing your hamster home, the easier a time both of you will have during this process. Consider every aspect of a hamster’s transition from a pet store to your home. They have to be handled by a pet store employee, placed in a container for travel and then travel that distance – all before getting to a new place. Hamsters get easily stressed, and these steps alone are enough to get their nerves on edge. To minimize stress related to travel, take the easiest and smoothest path directly home from the breeder or store. Don’t make additional stops and do your best to avoid routes or roads that will make the hamster’s container bounce up and down. What you need to do after they get home makes them feel safe and provided for, even when they seem to want nothing to do with you. As stated above, you will want your cage to be already configured for your new arrival. Make sure that their food and water bowls/bottles are already filled before making the initial introduction, as well. Is the room going to be too noisy? 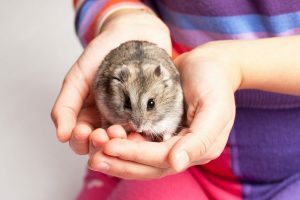 If it is a common living space wherein children, guests and other pets will often run and play, it may not be ideal for your hammy. Try to put their cage in a portion of the home that is relatively quiet with little frantic daytime activity. 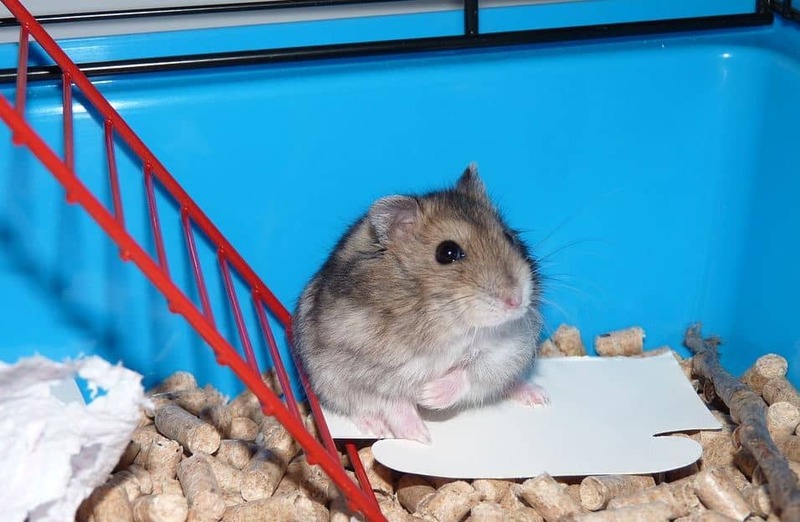 Read more: Where Should I Put My Hamster’s Cage? Is the room uncomfortable in temperature? 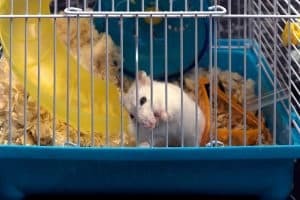 Drafty rooms or rooms that have no way for heat to escape make for poor housing environments where hamsters are concerned. You want their cage to be in a room that is clean, dry and a comfortable 65-75 degrees Fahrenheit. Does their cage have everything that you think they’ll need? You won’t want to add more elements to their cage as they’re adjusting to space, so handle this matter before putting them in the cage. Make sure that their food and water have a designated space, their toys and wheels are already set up, and any sand baths or litter boxes have already been introduced. If your hamster traveled from the breeder or store in a different container, you should place this container inside of the cage first. Open the container door so that they may walk out at their own leisure and then remove the container once they’ve done so. Close the cage and leave your hamster be. You will notice some of the worrisome behaviors that we outlined above, but don’t worry. This is a normal part of a hamster’s acclimation to a new home. Don’t try to pick up your hamster in a misguided attempt to soothe them. This will only stress them further. It can take a hamster as long as two weeks to become adjusted to their new environment. During this time, it is best that you avoid handling them. Never disturb them while they are sleeping and only reach into the cage to provide fresh food and water. There’s a good chance that your hamster will hide wherever they can for at least a week, coming out only when they need to eat or drink. As long as you can confirm that they are eating and drinking, you have nothing to worry about. By the end of this period, you will be able to see that your hamster is becoming more comfortable. One positive sign that you will see around this time is your hamster marking their territory. They’ll lick their bodies and rub themselves against the side of their cage to get their own unique scent all over the place. They will also emerge from their hiding spot to closely examine the toys, wheel, and other elements that you have introduced to their cage. When you see that your hamster is using their toys, eating and drinking openly and doesn’t seem as intent on hiding, you can breathe easy. They’ve accepted that this home is now their own. They understand that they are safe in this environment and have all of their needs met. It is after this time that you can begin handling your hamster and getting them used to you. From here, many owners go on to hand “train” or hand “tame” their hamsters with great success. Hamster owners cannot simply place their hamster into a brand-new environment and expect them to immediately be friendly and sociable. It’s tough to be moved from one place to another, without any understanding as to why this is happening or where they’re going. So, to avoid stressing out your new pet, it’s best to minimize your interaction with them at first. As the first weeks proceed, you will see your hammy start to come out of their shell more and more each day. Don’t think for a moment that their wariness means that you’re already off to a bad start with hamster ownership. This is a natural and normal part of the process. They’ll let you know when they are comfortable in their new home, so keep an eye out for the signs. Once you have allowed your hamster the time and space to get acclimated, you can begin doing all kinds of fun things! From here you may handle them, train them, have them use a hamster ball, and gradually meet others in the family. It might be challenging to forego holding your adorable new hamster for a while. But when you know you’ve got 3-4 years of healthy and happy bonding ahead of you, those weeks will go by in a flash. And if you’re an experienced hamster owner and can help with more tips, please do share them in a comment below! Or just let us know how your own hammy adjusted when you first brought him or her home – we’d love to hear your story! Previous PostCan Hamsters Live Together in the Same Cage? Next PostHow to Stop My Hamster From Chewing the Bars of the Cage?